Let me start by congratulating Chief Alhaji Bai Shabora Somano Kapen III for his victory as party Chairman and Leader ; a man who has rendered and sacrificed so much for the SLPP. In the same token, I want to commend Ambassador Alie Bangura for all his outstanding contributions to the SLPP, and for making the chairmanship election such a worthy contest. As the memories of the Bo convention start to fade away, there are two things I will always remember. Firstly, it was an opportunity for SLPP to reject the myth that has been so "vuvuzela" by our APC friends that the SLPP is a "mende man" or a "south easterner party". But here we were, when we had two distinguished party members who are neither mende nor south easterners contesting for the position of Chairman and Leader of the SLPP. Can our APC friends tell us at anytime in the history of APC that they have had a chairman and Leader who is not a Northerner or better still someone who hails from the south east? So anytime they write or tell you that SLPP is a "mende man" or "south easterner" party just remind them of the words of Moliere "One should examine oneself for a very long time before thinking of condemning others". Secondly, another myth which has been rejected by this Bo convention is the allegation that the SLPP is a violent party. 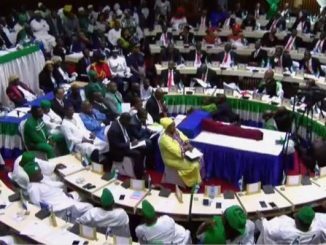 Well as SLPP members, whether you supported Chief Somano Kapen or Ambassador Ali Bangura, we must all be proud to say that the Bo convention is a testimony to the fact that SLPP is peaceful party and our members are very law abiding. The convention has shown that we are a matured democracy, at the heart of which there is a broad church with different shades of opinions. But when it matters most we can come together and put the interest of the party above our individual interests in a peaceful, transparent and credible manner. So the next time when our friends in the APC tell you that SLPP is a violent party just remind them the words of Albert Einstein that "Peace cannot be kept by force; it can only be achieved by understanding". Hence, instead of force, our members showed understanding that the SLPP is greater than our individual interests. So congratulations for making us proud! This brings me to the issue of rebuilding our great party. No doubts, the two greatest challenges that the SLPP faces now are: first, the need for unity and peace amongst party members following the convention and second, the need for the new national officers and parliamentarians to discharge their function as a responsible and credible opposition. On the first issue, it is common knowledge that this Bo convention has shown that the SLPP is factional especially when the campaigns and elections turned out to be so polarised. But in a political party like the SLPP wherein its internal party democracy is a model of all political parties in Sierra Leone, we may all hold our varying individual opinions and preferences towards candidates and the future of the party. And it is our individual rights to hold those opinions and preferences and we have to respect one and other's individuality. However, the outcome of every election, there has to be a winner and in this instance the delegates who we entrusted the responsibility to elect a new set of national officers elected Chief Kapen as the new Chairman and Leader. As such in the interest of the party we all have to translate those pre-election opinions and preferences into a collective will to support Chief Kapen and his team to move the party forward. So from now on it should not be about me or you rather it must be about us; planning, thinking and working together in the interest of the SLPP. 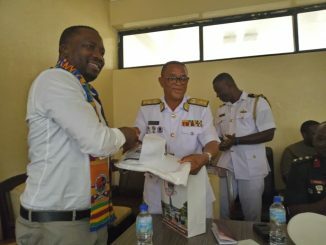 This is why I want to commend Chief Kapen whom in his reported interview with Awareness Times, he signalled his commitment to unify the party and his determination to reach out to Ambassador Alie Bangura and other candidates who withdrew or walked out of the election. 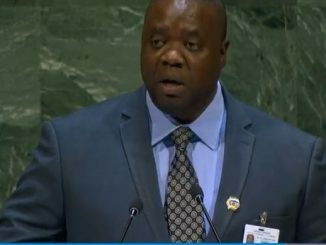 At the same time, it was also very reassuring to have read the Press Release of Ambassador Alie Bangura in which he stated " I am conscious of my responsibilities as a Party member to ensure that SLPP remains a strong, cohesive and vibrant political party and shall work towards realising that responsibility." 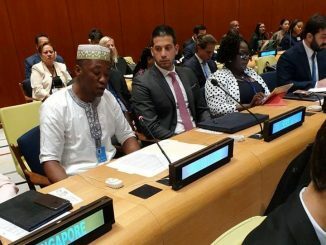 I hope in the end, Chief Kapen will translate his determination to reach out and Ambassador Alie Bangura will translate the consciousness of his responsibilities as a solid foundation for peace and working together in the interest of the SLPP. This is because, as a party if we are to learn anything from the diabolic effect of internal party division then the incidents last week which led to the unwarranted search of the office and residence of Maada Bio could not have made any better case. It was a classic case of the lowest point of any internal party division. Therefore, in the same spirit of reconciliation, whilst it is important that we re-echo that the security of Maada Bio should be in the hands of the government, I appeal to Maada Bio that he puts behind him any suspicion of those who might have allegedly masterminded such a search. A party which is characterised by suspicion and bitterness is a recipe for failure. Moving forward, the new political dispensation should be about being our brother's keeper. And one lesson which the new chairman and leader should have learnt from those incidents would be that he has an obligation to defend and protect every SLPP member in the face of blatant misuse of state powers and institutions. And now to the second issue: the urgency of our elected national officers and parliamentarians to redefine the SLPP as a responsible and credible opposition. Since the election, it is a common knowledge that our party has failed to mount an effective and constructive accountability mechanisms for President Koroma's government. Years back and especially in the lead up to the November 2012 elections, the SLPP was always at its best during those press conferences in which our former Chairman, John O. Benjamin and other national officers would examine government policies and raised very relevant national issues. Those press conferences provided an opportunity to state the SLPP position on relevant national issues, pooh-pooh government policies and initiatives but also give the press a chance to examine the activities of the opposition. Therefore, I appeal, as a matter of urgency, to the new chairman and his other officers that part of rebuilding our party as a credible opposition will be to re-institute those press conferences. At the same time, it must not only be about criticising government, it must also be about offering to Sierra Leoneans alternative policies and initiatives so we can have a constructive debate in the governance our country. Equally, another important aspect of redefining the SLPP as a responsible and credible opposition is to ensure that our SLPP parliamentarians better perform their functions and become more vocal in scrutinizing government bills, policies and holding ministers to account. To be fair with our MPs, they do not have the luxuries like Kenyan MPs and it becomes considerably challenging if one is an SLPP MP as compared to an APC MP who may have the opportunities for government contracts and other projects. But I will like to appeal to our SLPP MPs that the success and credibility of our party largely depends on their performance in parliament. And in this new dispensation the test for our MPs must be the extent to which they can arouse, educate and mould public opinions by their voices and votes. Therefore, as I conclude this piece, let me appeal to every SLPP member that it is incumbent on all of us to ensure our party is united because like President Obama once said "The forces that divide us are not as strong as those that Unite us". And because the coming months and years will be challenging, it requires a strong, united and stable party. So let all of us rise up to that challenge by preaching peace, unity and reconciliation as we rebuild our great party, The SLPP. Please note that CEN is not a member of any political party in Sierra Leone. Views, claims, opinions expressed in this article therefore are those of the author and they do not necessarily reflect CEN’s.